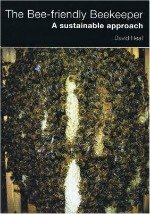 Dr David Heaf is the author of The Bee-friendly Beekeeper published by Northern Bee Books (international delivery available). 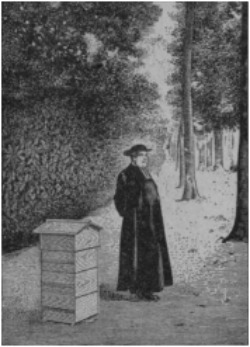 Dr David Heaf also translated 'The People's Hive' by Abbé Warré from French into English, which you can download from the links below. The Bee-friendly Beekeeper contains 80 colour illustrations and 16 line drawings, and a 117-reference bibliography. It has received many excellent reviews, and is described as being suitable for beginners who already have a basic knowledge of the life of the honey bee, as well as for beekeepers with experience who want to discover a more bee-friendly way, either with their existing hives or with the Warré hive. BuzzAboutBees: Dr Heaf, you are not only a beekeeper, you also have a scientific background. Can you tell us a little about this background, and also, how long you have been a beekeeper, and what influenced you to start beekeeping? Dr Heaf: I did a B.Sc. in Biochemistry and Soil Science, then a Ph.D. in Biochemistry followed by 15 years of research, latterly in wound healing R&D. I started beekeeping in 2003 following being invited to talk to the local BKA on GMOs in relation to bees. The BKA invited me to an apiary meeting. A hive was opened. I was utterly fascinated. I bought 5 honey bee colonies the same season. BuzzAboutBees: Your book “The Bee Friendly Beekeeper” has received excellent reviews. 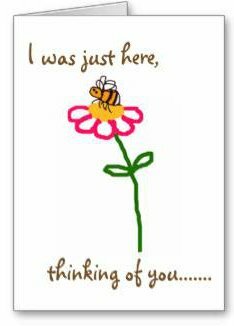 Can you tell us a little about ‘bee friendly’ or Apicentric beekeeping. Does it mean something different from or more than Natural Beekeeping, for example? Dr Heaf: The form of beekeeping that really began to take my interest in 2006 was what the Germans call 'wesensgemäß Bienenhaltung', which could be translated as 'bee-appropriate beekeeping'. But the term 'bee-appropriate' sounds awkward, so I opted for 'bee-friendly'. Bee-friendly beekeeping is positioned at the biocentric or ecocentric end of the environmental ethical spectrum which I described in the book. Shortly before my keynote lecture to Britain's first Natural Beekeeping Conference in August 2011, I coined the term 'apicentric beekeeping' ('bee-centred beekeeping'). I could not find the term anywhere on the Internet at the time, but now there seem to be over 300 entries for it. Although 'natural beekeeping' is an oxymoron, it has gained wide currency, at least in the UK, therefore it is a useful umbrella term for all types of beekeeping that seek to cater for the species-specific needs of the bee. BuzzAboutBees: What kind of scientific backing did you use in the writing of the book, to support the case for apicentric beekeeping? Can you give us one or two short examples? Dr Heaf: I drew as far as possible on the available apidological (bee science) literature. Much of that literature is limited because it is based on bees kept in frame hives, rather than on natural comb. Anything to do with feral colonies and their nests is of primary interest to me. One example is that bees on comb started with foundation in frames eventually generally try to free the bottom and sides of the comb from the frame to leave a gap. Jürgen Tautz in his Buzz About Bees argues that the bees are trying to restore the vibratory and therefore acoustic communication properties of the comb which they use as a kind of 'telephone network'. The wood of the frame impairs such vibration. Another example could be the fact that natural worker comb has a range of cell sizes from as low as 4.7 mm, or lower, to as high as 5.7 mm, or more, but conventional beekeeping uses a one-size-fits-all approach of 5.4 mm cell size through forcing the bees to draw foundation. There are many many example where apidology can teach us that modern housing conditions and management of honey bees is sub-optimal for their health. BuzzAboutBees: You keep Warré hives. Have you only used Warré hives during your time as a beekeeper, and if not, when did you begin using them? Dr Heaf: I started with National hives, eventually reaching fifteen of them by 2006. I populated the first six Warré hives in the UK in 2007. I now have 14 colonies in them. I still have five Nationals occupied by colonies. Because of my work on colony relocations from buildings, I sometimes run out of Warrés and thus draw from my disused Nationals to give the bees a new home. BuzzAboutBees: You use the Warré hive as an example of a means to carry out apicentric beekeeping in your book. It was originally designed by Abbé Warré. However, beekeeping has some different challenges these days – such as Varroa mite. How do you address these problems using a Warré hive? Dr Heaf: I have never treated my bees in the Warrés. I stopped treating my bees in Nationals in January 2009. I live in a locality where quite a number of beekeepers, including our bee disease inspector (who I think coined the term no-treatment nutters), do not treat for Varroa. My view is that any treatment that works against the mite, e.g. acaricides, or in favour of the bee vis-à-vis the mite, e.g. sugar dusting, only postpones the day when bee and Varroa will and must co-adapt. The bee has been around for millions of years. It has developed ways of dealing with ectoparasites such as mites. But it needs to be constantly challenged by Varroa in order to elicit the defence behaviours latent in the bee. Destroying Varroa reduces that challenge. I do not recommend this approach to, say, a beginner with one or two hives, as there is a high risk of them losing all. My current loss rate is about 30% which is about three times higher than in the days before Varroa arrived. BuzzAboutBees: What are your views on the use of chemicals in hives, for example, for treating conditions such as Varroa, and what do you think the science is telling us? Dr Heaf: Beekeepers who put pesticides (acaricide chemicals) into hives end up with pesticides present in the long term in their comb. This has been clearly demonstrated by sensitive analytical techniques. Pesticides in combs can leach into honey and have also been shown to reduce brood health. Even the so-called 'organic' acaricides such as thymol and oxalic acid adversely impact the health of brood and bees. However, I prefer not to take the fanatical no-treatment fundamentalist line on this matter. Beekeepers are faced with a Scylla and Charybdis situation. As I intimated in an earlier answer, there are situations where a beekeeper, whilst not liking to use chemicals in the hive, may nevertheless wish to treat, even if only to save their bees. And it is worth noting that it is not so much the Varroa that wrecks bee health but the viruses that are vectored by the mite. BuzzAboutBees: You say “Honeycomb is now known to be much more than just the skeleton of the bee colony superorganism” – can you tell us a little about that? Dr Heaf: In the winter the cluster is in the middle of the nest surrounded by empty combs which act as an insulator against the cold, analogous to the hair or fat on a mammal's body. When brood is reared it acts as the womb of the colony, sheltering and contributing to maintaining homeostasis, for example through humidity buffering. It has a communication role, not only as a resonating 'telephone network' as already described, but also for marking with chemical messages by pheromones. The nearest analogy to these controlling functions in the mammal are the nervous system and hormones. Deposited all over the comb are traces of propolis, the bee's natural antiseptic. This substance, made from plant exudates, is part of the bee's social immunity that supplements the conventional, though relatively weak, immune system in the bee's body. Finally, a part of the comb containing bee bread, a fermented product made from pollen and nectar, has been described as the extended gut of the bee. Part of the digestion of the colony takes place outside the guts of the individual bees. The above probably does not exhaust all the functions of comb in the mammal-like superorganism of the bee. BuzzAboutBees: I’ll be asking beekeepers to share their beekeeping tips, and you’ll be helping to identify the best. Those people will then receive a copy of your book. But what about people who are not beekeepers? What are your 3 top tips for these people to help the bees? 1. Ensure that marginal land that they control is not manicured to grassy uniformity, and if possible encourage or plant bee forage trees, shrubs and flowers. 2. Refrain from use of insecticides and lobby your MP etc. regarding use of insecticides, particularly the seriously damaging neonicotinoids. 3. Where possible, and within reason, adopt a more tolerant attitude to feral bee colonies in buildings, and of hived bee colonies in one's neighbourhood. If we want bees we need to make space for them. 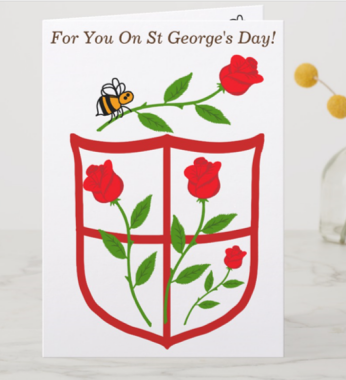 BuzzAboutBees: And which are your favourite bee-friendly flowers? Snowdrop, crocus, bluebell, cotoneaster, lymnanthes, culinary herbs, bramble, gorse, willow, heather, Himalayan balsam. Well, you did ask! Download this book, translated into English by Dr David Heaf.